Marbling involves paint that is floated and manipulated on the surface of thickened water. 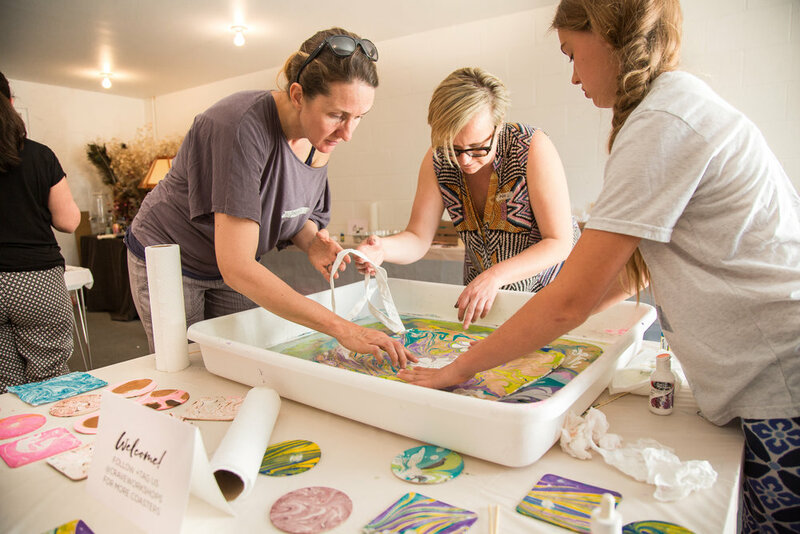 By swirling the paint, students create a mesmerizing design that’s then transferred to paper as a permanent print. It’s a “no fail” method where anyone can participate and make something beautiful. Like their makers, no two pieces are alike. This workshop promoted spontaneity and build creative self esteem with a little bit of paint and a little bit of magic. Everyone started out marbling on thick card stock paper coasters to get the hand of things and then marbled a onesie, tote bag or pillows.